Maitland Summer Music Series Announced! The Maitland Art and History Association in partnership with Performing Arts of Maitland recently announced a new summer concert series that will kick off in a few weeks. Art. Music. Food. Architecture will be scheduled on the second Friday of every month from May to September, beginning Friday, May 11 at 7 p.m. with the rock/folk band Hindu Cowboys. 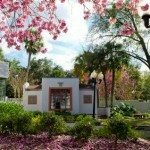 Guests will also be able to listen to readings from Maitland-area poets and writers as well as purchase fare from local food trucks and alcoholic beverages from a cash bar. The Art and History Association’s main galleries will be open for guests to view art exhibits. This monthly affair will take place outdoors at the Maitland Art Center, 231 W. Packwood Avenue, Maitland. Admission to the summer concert series is $3. A&H members receive FREE admission. Sign up to receive our weekly email featuring date night ideas and weekend best bets PLUS receive our FREE 20 under $20 date night guide.